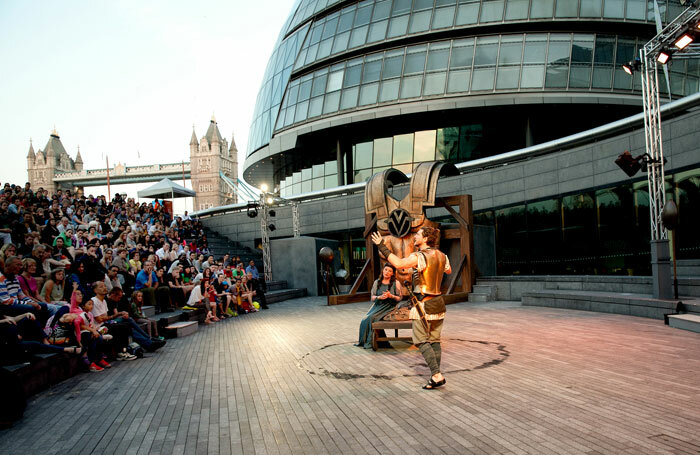 In a theatre year full of Greek tragedy, this cut-down version of three plays by Euripides benefits from the traditional qualities of London’s river-side amphitheatre. And as ticket prices soar elsewhere it is still free. The emphasis is on the brutal effect of war on women explored through Iphigenia at Aulis, Hecuba and The Trojan Women refashioned by Lisa Kuma into two sections: The Greeks and The Trojans. 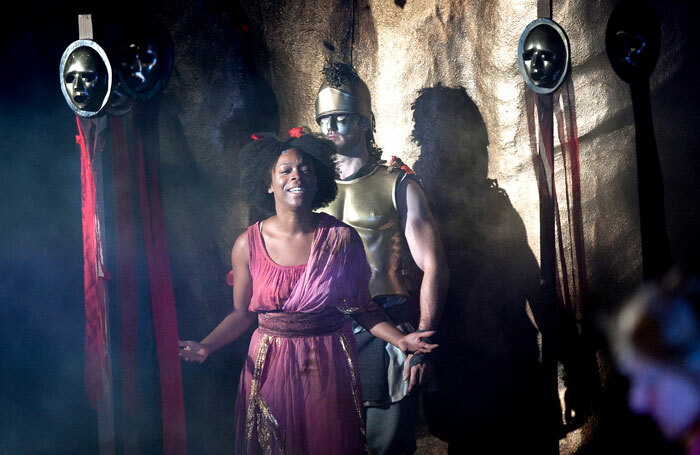 Helen (Emily Sitch) provides the backstory to the Trojan War and, in the first part, Iphigenia is sacrificed by her father, Agamemnon (Phil Willmott). 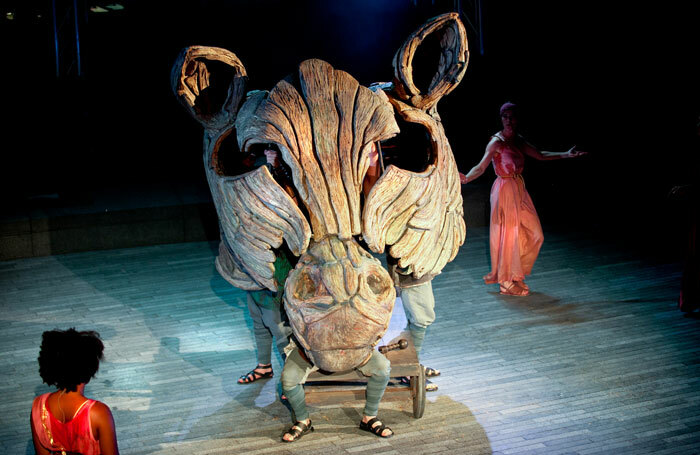 The second section is directorially stronger, opening with the whole cast assembling an enormous equine head to represent the wooden horse and setting the scene in dramatic choral style. 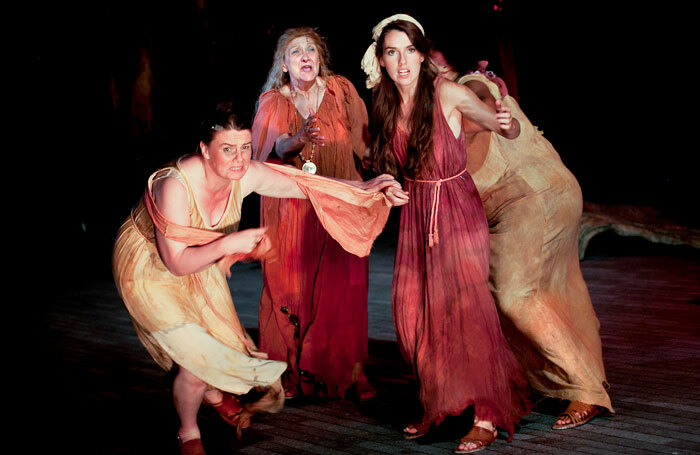 As Queen Hecuba, widow of Priam, king of Troy, and grief-stricken mother of Polydorus, Polyxena and Cassandra, Ursula Mohan is the authoritative central figure. 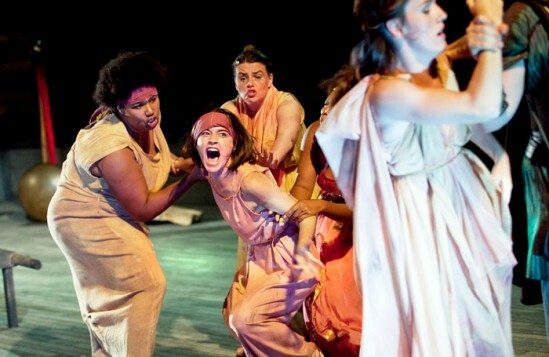 The acting is sometimes patchy elsewhere, although there is strong support from Hannah Kerin as both the doomed Iphigenia and a madly mystical Cassandra, Jasmeen James as maternally anguished Andromache and Eddie Eyre as a moody, swaggering Achilles. Terence Frisch as Polymestor, messenger, spy and murderer of Polydorus, manages an arc from cheeky comedy to blinded misery.